This February! 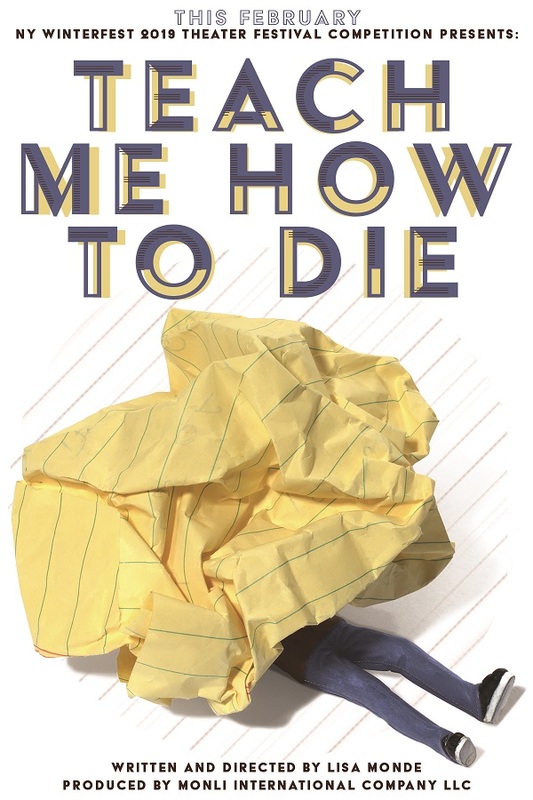 A new psychological detective drama by Lisa Monde “Teach Me How to Die” to be presented at the NY Winterfest 2019 Theater Festival Competition! Six anonymous participants, five men and a woman are learning the art of writing suicide notes. All of them have made a decision to end their earthly existence and don’t know how to properly execute their divorce from life… Will Professor Mirrormord be able to teach them the impossible? Will they follow through with their plans? Will the shadow of a cobweb become the salvation and bring back the faith in a new future? The talented versatile cast of professional actors features: Gary Simon, Giancarlo Herrera, Steve Carlsen, Ben Rademacher, Yannik Encarnacao, Gary Comorau, Caitlin LaBarge and Lisa Monde.